What is an Aquarium Reactor? Why should you consider buying any brand of aquarium reactor in the first place? Why remove phosphates from your aquarium water? An aquarium reactor is an optional piece of aquarium equipment that adds automation and improvement to the process of providing clean, healthful water to your aquarium inhabitants. Think of it as part of the filtration system, by which you keep the aquarium water in tip top shape. From a design perspective, an aquarium reactor mostly consists of a plastic chamber, a pump, and some valves and tubing. The chamber is the area where the media is placed. Media is a fancy word for stuff, that reacts with the water to improve the quality of that water. The tubing is used to direct water from your sump (or tank, if not installed in the sump) via the pump into the chamber and then back out into the sump (or tank). Answer the question: what is an aquarium reactor? 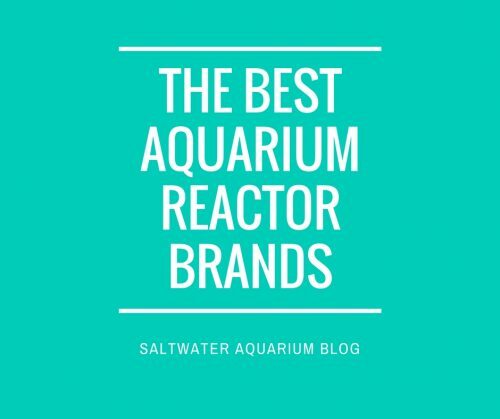 However, this article just got started, so let’s dig deeper into what I factored into this recommendation about the best aquarium reactor brand. I suspect this is not the first time you have hear of a little thing called water changes before. I love them, think they’re great. They’re probably the best thing you could do for your tank, on any given day, assuming your tank has been running for a while and that you execute it reasonably well. But the downside of a water change is that–it isn’t an efficient way to remove low levels of pollutants. Compared with using an aquarium reactor, with a high quality media, like Granular Ferrous Oxide (GFO), water changes are a bit like throwing the baby out with the bath water–or perhaps more correctly–throwing the phosphates, silicates or nitrates out with the tank water. For the record, I am not in favor of throwing babies out with bath water. It is an expression. For example, if you are having problems with problem algae, phosphates, silicates or nitrates in your aquarium water may be part of the problem. However, even if you had a fairly serious nitrate problem, you’re still talking about nitrates at a level of 60 parts per million. Phosphate levels are likely much lower, typically (hopefully) less than even 1 part per million. The concept of parts per million (ppm) is a bit abstract, so allow me to elaborate (or is it belaboring?) on the point. Imagine your tank was full of white rice, instead of water…(what? )…and instead of nitrates, phosphates or silicates, you were trying to remove black specks. If we compare this with a water change, you would remove 999,940 grains of rice and throw them out (hopefully not put them down the drain) and by doing so, would catch and remove about 60 black specks, in a scenario where we’re comparing it to 60 parts per million. That amazing water change doesn’t sound so amazing that way, does it? By comparison, now picture a magical piece of equipment that is filled with a black speck magnet. You push the rice through the equipment and the black specks get stuck to the magnet. Sounds like a much better idea, doesn’t it? That is the basic premise for what an aquarium reactor does and why it is a helpful piece of aquarium equipment. Disclaimer: I’ve grossly under-represented the other values of doing a water change in this passage other than just removing a low level pollutant. Water changes are important. Just consider the impact that a good aquarium reactor can have on your overall water purification and maintenance scheme. Most of us have a saltwater aquarium because we love the animals in our tanks and we love the challenges of creating a healthy environment for them. From a practical standpoint, much of the work in the hobby is from keeping the aquarium water parameters in the right range. Aquarium reactors can help you with the following (you would need more than one to do all of the following). Phosphates in your aquarium water lower the amount of calcium and magnesium that can be dissolved in the water, which are essential nutrients, and they act as fertilizer, fueling the growth of problem algae. Many hobbyists depend on their aquarium reactors to remove phosphates from their water. 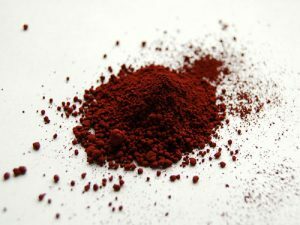 Granular Ferrous Oxide, abbreviated GFO in online forums, or iron oxide hydroxide by people like me, in articles like this about granular ferrous oxide (GFO), is the preferred media of choice for phosphate removal. Phosban is a specific brand of GFO sold by Two Little Fishies. Nitrates are the natural byproduct of your biological filter–so detecting nitrates in your tank is a good thing, in that it means your filter is working well. Nitrates are also considerably less toxic to your tank than ammonia it once was, but nitrates will accumulate and cause problems in your tank. Nitrates are another problem algae fertilizer and are also known to cause problems for certain invertebrates you won’t want to cause trouble for. Calcium is one of the most important metals in your aquarium water. 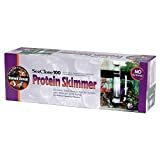 It is essential for the skeletal or shell growth of nearly all of the animals in your tank. The sections above focused on the use of an aquarium reactor when combined with a chemical filtration media like GFO, but a sometimes overlooked item is the use of a reactor to raise calcium levels in the tank. Calcium reactors tend to work in one of two ways: calcium carbonate is used as the substrate/media, carbon dioxide is then added to the reaction chamber to lower the pH in the chamber, which dissolves the calcium carbonate, which increases the amount of dissolved calcium in the water that is then returned to the tank. A kalkwasser reactor isn’t a reactor in the traditional sense that there is no chemical reaction, but you add kalkwasser to the chamber and drip it into the aquarium at a low dose (and perhaps infrequent interval) to raise calcium levels in the tank. As mentioned earlier, Granular Ferrous Oxide, or GFO, is a popular aquarium reactor medium because it is so effective at pulling phosphates out of the water column. The downside to using GFO is that it won’t target JUST phosphate. GFO will effectively remove other metal ions from your water, as well, some of which you want. So if you choose to run GFO, be sure to have good test kits to monitor your aquarium water parameters. Too much of a good thing, granular ferrous oxide, in this case, can be a bad thing. Check out this article from Saltwater Smarts to learn more. Activated carbon has been used in the aquarium hobby for a very long time. I remember using it as a kid in my first all fish 5 gallon aquarium. Activated carbon is an inexpensive, porous material that binds (and effectively removes) some of the stuff we don’t want in our tanks. You can improve the performance of the activated carbon by using it in a reactor over just using it in a filter bag because of the efficiencies you can create through optimizing the water flow. Biopellets are used to supercharge your biological filter. Essentially, the tiny biopellets in a reactor create a perfect environment for the beneficial bacteria to thrive. Boosting the population in this way helps you help the bacteria keep your water parameters in line. The bacteria will consume the biopellets, over time, so you need to top them off to keep the colony growing. Once you achieve the desired levels, you should scale back to a maintenance mode to keep things from getting out of whack. Biopellets reduce nitrates by boosting the growth of bacteria that feed on the nitrates. 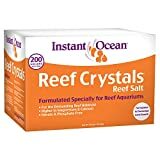 Calcium carbonate, sometimes called crushed coral or even sold under the trade name Reborn, dissolves in the water and increases the calcium concentration in your tank. Convinced now, about the merits of setting up an aquarium reactor, but aren’t sure now which one to choose? Here are a few important characteristics to consider when selecting the best aquarium reactor brand for you and your aquarium. Size—most manufacturers offer a few different sizes for different size tanks. Be sure to match the capacity of your aquarium reactor with the size of your tank. Pump—you will want to pick a brand with a reliable pump—or purchase a model that doesn’t include a pump and then add your pump separately. The pump is really the “business end” of the reactor—it does all the hard work of sending the water into the reactor chamber—so you want to pick a model with a reliable pump. Read the product reviews and you will learn a lot about the importance of the pump and set your expectations about the reliability of the pump included (or not) with your preferred brand. Reactors are essentially just a pump, a chamber and some fittings that will help you adjust the flow in the chamber and/or get into the chamber to fill or replace the media. So one of the most important characteristics you’re looking for in a good media reactor is quality craftsmanship of the ‘moving parts’ of the device. If you want to run GFO, carbon, or if you want to be able to switch it up in the future, you probably want an up flow device–this is a device where the water goes down a central tube (generally) and then fills up from the bottom-up. This reduces channeling, which is a problem with certain media types. If you want to run biopellets, you may want to pick an option where the water flows from the top-down, which tends to maximize contact time for this type of media. Do you have loyalty to any brands of equipment you have already purchased? Established brands like TwoLittleFishies and ReefOctopus have great reputations for quality, reliable products. Since the aquarium reactor products are all very similar in term terms of quality and cost, quite often the brand (and the people/company that back that brand can make the difference. For the most part, you get what you pay for, in this hobby. One important element, when evaluating the cost of an aquarium reactor, is to be crystal clear whether the price you see includes the pump or not. My own personal style is to try and avoid the unusually low or unusually high priced items, to create my own tolerable range within which I am comfortable spending–then selecting the best value from the available models there. KW Reactor – Also uses up flow and is for storing and pushing out kalkwasser into the tank. Two Little Fishies (Julian Sprung’s company) makes a brand of GFO reactor called the Phosban Reactor 150. This reactor is inexpensive (costs less than $50 on Amazon), but requires you to purchase a small pump separately. This is one of the most popular devices and typically has more product reviews than the competitors in its class–which suggests the product enlists a large base of rabid fans, in addition to just being popular over all. The reviews for this product are disproportionately positive. The Phosban reactor is available in two sizes–the 150 and the 550. The Phosban reactor 150 is the right size for the majority of aquariums out there. The instructions sheet suggests it is appropriate for any aquarium 150 gallons or smaller. The Phosban reactor 550 is for any aquarium 600 gallons or smaller. In fact, if you’re reading this and thinking you may need a bigger reactor…send me an image of your tank, so that I can drool. The Aquatop MR-20 is 2.4 inches wide x 15 inches tall and comes with a pump and tubing–which is both a good thing and a bad thing. It is good, in the sense, that it comes to your door with everything you need (besides the media, I suppose). The bad thing is that the pump is the most commonly complained about feature of the the Aquatop MR-20 Reactor. All in all the Aquatop MR-20 Reactor is an inexpensive option, but also rates lower in quality compared with some of the other models listed here. If your tank is larger than 75 gallons, you could also check out the Aquatop MR-30 reactor, which is rated for tanks up to 200 gallons, but buyer beware–at the time I’m writing this, more than 42% of the ratings are 3 star or below. Yikes. Let’s move on. The AquaMaxx FR-SE is a multi-purpose, multimedia aquarium reactor for tanks under 150 gallons, if using GFO and under 50 gallons, if using BioPellets. AquaMaxx FR-S is an all-in-one media reactor(meaning that it comes equipped with a Sicce pump) that is designed to hang on the back of your aquarium, inside the tank and is best for tanks under 50 gallons, for GFO and under 20 gallons, if using BioPellets. The Reef Octopus Multi Media Reactor line the standard basic, broad application reactors that are on par with some of the others listed on this page. There are two sizes available, a less expensive (and smaller) model with a 2.5 inch base, and a relatively larger model with a 4 inch base. This model ships to your door, ready to install, with a pump and tubing. The manufacturer states this model (the Reef Octopus MF-300B) is designed for Bio Sphere media (biopellets) but could also be used with other media. The Reef Octopus Bio Pellet Reactor series a great option. What I like most about Reef Octopus Bio Pellet Reactors is the 5 year warranty on the manufacturing and 1 year warranty on the moving parts. You know that the manufacture stands behind these products. The Bio Churn 90 HOBINT and Bio Churn 90HOBEXT are the models for hang-on-back applications for tanks under 100 gallons. If phosphates are your issue, then you probably want to pick one of the upward flow models. GFO has a tendency to create ‘channels’, which will mess up the efficiency of your reactor. When it comes to phosphate reactors, you can’t go wrong picking the Phosban reactor, by Two Little Fishies. Check out prices online here. If you are on a tight budget (I know the feeling), then you don’t want to pay too much any product. While you want the product you buy to be reliable and last a long time, you don’t need the brand reputation, extended warranties and you aren’t trying to outspend and impress your friends. If budget and economics are your number one priority, then I recommend you check out the Aquatop Reactor. You can get the Aquatop MR20 shipped to your door, with the pump and tubing, at a fraction of the price of these other brands. Be mindful of and careful with the lightweight plastic design–and keep an eye on the pump performance, but if you want to get started with an aquarium reactor without taking out a line of credit, the Aquatop MR20 Aquarium Reactor is a solid choice. If you are looking for a kalkwasser reactor, here is the #1 kalkwasser reactor brand that I recommend. This affordable option mixes automatically, to achieve a supersaturated kalkwasser solution (which is what you want), and is a breeze to set up in your sump. Since you’re going to have to get into that chamber a lot, the threaded lid makes it easy and reliable. Kalkwasser reactors are a relatively unsophisticated device, (all things considered), so there is no need to over-spend here. Get the affordable, reliable KW Reactor 300. If you are looking for a reliable, efficient Biopellet reactor, the best option, in my opinion, is the Reef Octopus Biopellet Reactor. Check out the price for the Reef Octopus Biopellet Reactor. Why go with Reef Octopus? The downwards flow design optimizes contact time with the biopellets (you don’t have to worry as much about channeling in this case). Reef Octopus is a well-respected brand, and they back this product with a 5-year warranty, so you know you’ll be getting a high quality piece of equipment that will last you years. If you aren’t sure, exactly, what type of media you will use, or if you want to allow yourself the flexibility to switch things up in the future, then you will want to purchase a brand that will allow you that opportunity to flex. You don’t want to pay too much, and you probably don’t want a downwards flow model, because you don’t want to have channeling. The name suggests it is designed for phosphate removal (GFO), but this model will work with any media type. We are fortunate to have so many great options at our fingertips these days. Any of the brands listed here will do a reasonable job, so if you have a preference for one over the other, based on your own rating system, trust your instincts. You know what is right for you. I recommended the Two Little Fishies brand pretty strongly here because their reactors are reasonably priced, is a very well-known brand in the hobby (thank you, Julian) and they are known for having happy customers. Do you agree with the recommendations here? Hi Jeff, glad to hear you are either still or back in business! Hoping you got the bad luck out of your system and are ready for some good luck. Here is one suggestion regarding your setup. There is a small kit you can add to the Phosban reactor to make it a ‘hang on back’ model.